CLARION, Pa. (D9Sports) – In the postseason, style points don’t count as much as end results. Relisten to all the exciting action. That’s a good thing for the North Clarion She-Wolves because they didn’t win any style-point contests in their 46-30 victory over DuBois Central Catholic in the District 9 Class 1A quarterfinals Friday night at Clarion High School. North Clarion (24-0), which led by just five at the break, 26-21, struggled shooting the basketball going 16 of 45 (35.6 percent) from the floor and turned the ball over 19 times. Many of those missed shots and some of the turnovers came from an unlikely source in senior star Tori Obenrader, who agreed with her coach that surviving and advancing was the important part. “Yeah, that happens sometimes,” Obenrader said when asked about her missed shots, especially in the second quarter when she scored just one point. Give DCC credit for keeping the game tight for 16-plus minutes. The Lady Cardinals (10-15), who lost to North Clarion by 28 11 days ago, switched up their defense and caused some confusion for the She-Wolves. North Clarion did adjust, and Obenrader being, well, Obenrader, didn’t allow her second-quarter struggles or the struggles of the team to get the best of her, as she still finished with 23 points and 16 rebounds, her 22nd double-double of the year. In fact, Obenrader, who scored 11 first-quarter points, found her rhythm again in the third quarter scoring the final seven points of a 9-0 North Clarion run that took a three-point lead, 26-23, early in the second half and expanded it to 35-23 with just under three minutes to play in the third quarter. Dreihaup said part of the halftime adjustments were about getting Obenrader the basketball. 1. DCC had the champs nervous in the second quarter. Early on, it looked like North Clarion was going to put the hammer down and run the Lady Cardinals out of the gym building the lead to 19-5 early in the second quarter. But then things changed on a dime. DCC answered going on a 12-3 run to get within five, 22-17, thanks in part to five points from Shay Gulvas, who scored seven in the game. 2. North Clarion missed Gatesman in the second quarter. Gatesman picked up her second foul late in the first quarter, and Dreihaup elected to play the entire second quarter without his second-leading scorer. And it showed. Dreihaup said he considered putting Gatesman back in the game but elected to let things play out. “I thought if they got any closer I was going to put her back in,” Dreihaup said. “But, we survived, and we were up five at halftime, which we were very fortunate to be with her on the bench. 3. What Gatesman means to North Clarion doesn’t always show up in the scorebook. If you just looked at Gateman’s point total, you would think she didn’t do much in the game with just two points, both in the first quarter. But that was hardly the case. 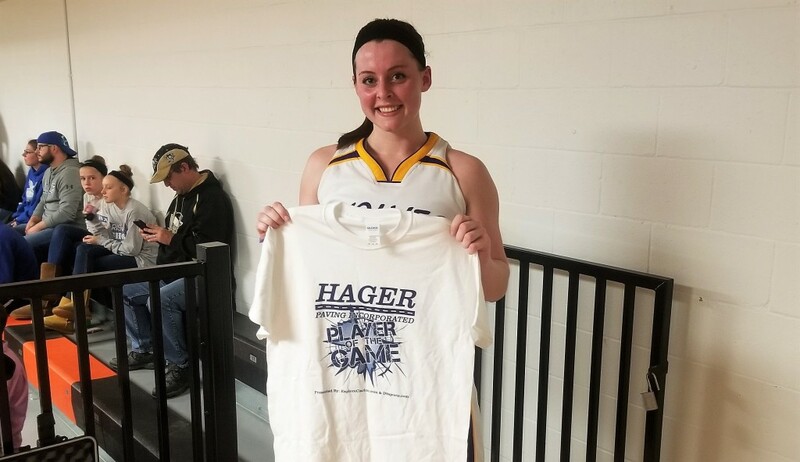 She had numerous assists while also tying for the team lead with five steals and grabbing seven rebounds, second only to Obenrader for North Clarion. 4. Hoover was pleased with how his team attacked North Clarion’s strengths. Hoover believed his team did a good job taking away some of what North Clarion likes to do and that they did a fairly good job on Obenrader – again think about how good Obenrader is when she has the 23 points and 16 rebounds and the opposing coach is pleased with how his team contained her. 5. Mackenzie Bauer is a terror on defense. North Clarion’s diminutive point guard was a terror on defense for the She-Wolves tying Gatesman for team-high honors in steals with five with pretty much all of them coming when she put on a one-woman press. Bauer added six points and three rebounds to her defensive effort. North Clarion takes on fifth-seeded Elk County Catholic in the semifinals next week at a time, place and date to be announced. This is a rematch of the D9 1A semifinals two years ago when ECC upset the She-Wolves. DCC’s season is over. But this won’t be the last time you hear from this group of Lady Cardinals. The team graduates just one senior – Brenna Engle – with everyone else, including Friday night’s leading scorer Abbey Pettenati (10 points) coming back next season. Hoover really believed his team improved as the season went on. Alyssa Bittner 1 0-2 2, Shay Gulvas 2 2-2 7, Haley Pettenati 1 0-0 2, Abbey Pettenati 3 3-4 10, Ashley Wruble 0 0-0 0, Jordan Kosko 4 0-0 9, Maia Cogley 0 0-0 0, Brenna Engle 0 0-0 0. Totals 11 5-8 30. Makenzie Bauer 2 2-2 6, Cierah Manross 1 0-0 2, Gabby Schmader 2 1-1 5, Gabby Carll 2 1-2 5, Abby Gatesman 1 0-1 2, Tori Obenrader 7 6-9 23. Haley Sherman 1 1-2 3. Totals 16 11-17 46. Three-pointers: DCC 3 (Gulvas, Abbey Pettenati, Kosko). 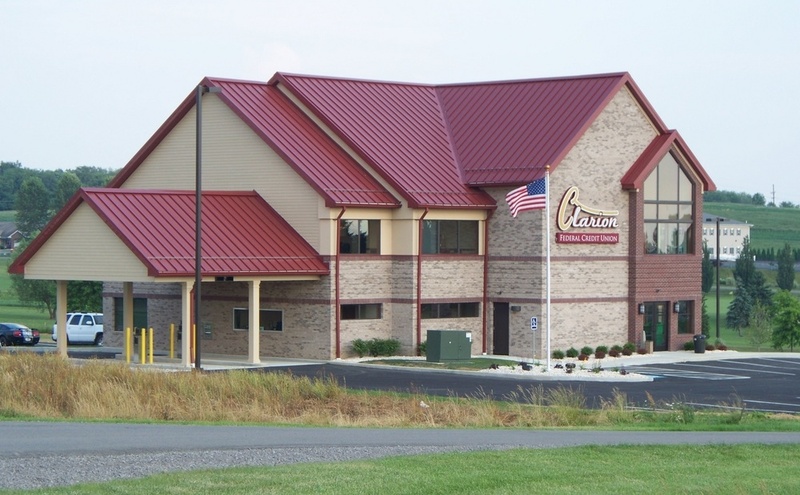 North Clarion 3 (Obenrader 3). Rebounds: DCC 10 offensive, 19 defensive, 29 total (Bittner 8, Wruble 6). North Clarion 12 offensive, 23 defensive, 35 total (Obenrader 15, Gatesman 7, Sherman 5).